Ani's Book Abyss: COYER Summer Vacation 2016 Starts Today! COYER stands for, as stated above, "Clean out your e-reads." And typically the goal is to read from all the freebies or low priced books you've collected in the past on your e-readers. But for the summer duration of June 18th to September 2nd, there will be no rules or specifics, so pretty much anything goes! On June 18th, the hosts of COYER will be launching the coyerchallenge.com website, a new home for COYER challenge. It looks like it's currently in the works, but will be a nice home for the popular reading challenge. For more information, click on one of the three links above. 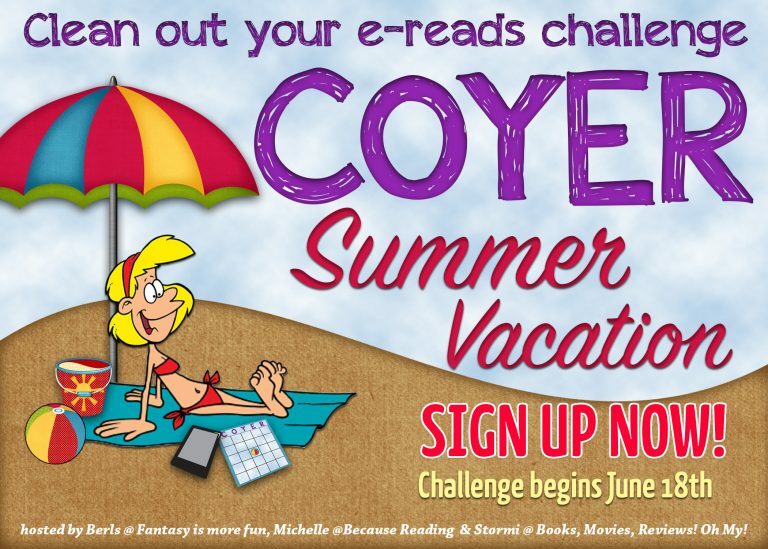 As stated above, COYER Summer Vacation 2016 Reading Challenge starts today and will run until September 2nd. See the above stuff for this summer's COYER rules/non-rules! As I had already stated in my announcement post, even though there aren't really any rules, I'm going to create some of my own personal goals. I will still include every book I read during this time, but I will try to reach for more of the books already in my possession, specifically e-books. I'm not sure how readily I'll be able to do that since I have more paperback books than I can count, and I'm also addicted to the library, but really, this is just a long extended read-a-thon, or sorts, anyway, so reading and having fun is what's important. I will be compiling my COYER Summer Vacation books at a separate page, if anyone is interested: COYER Summer Vacation 2016. And all of the books I read for COYER will also include a link to that particular page. If you're interested, go ahead and check out the new coyerchallenge.com home at the link listed above.